Immersed completely in the 360° world of the hit movie, readers create a deeper connection to the film's beloved characters. After teaming up with Sony Pictures Home Entertainment to enhance a version of its Blu-ray bundles with Augmented and Virtual Reality, Quantum Storey announced today it has launched a new collaboration with Sony Pictures Consumer Products for a new stand-alone VR Book. Hotel Transylvania 3, the first Sony Pictures title to feature Quantum Storey VR Studio AR and VR content in its bundled movie release, is now also the basis for the first-ever stand-alone VR print book based on a major motion picture. The stand-alone VR Book builds on the VR Studio activity booklet sold with the Blu-ray/DVD/Digital download bundle, which launched in October. Sold exclusively at Walmart, this enhanced bundle quickly became a walmart.com best seller. 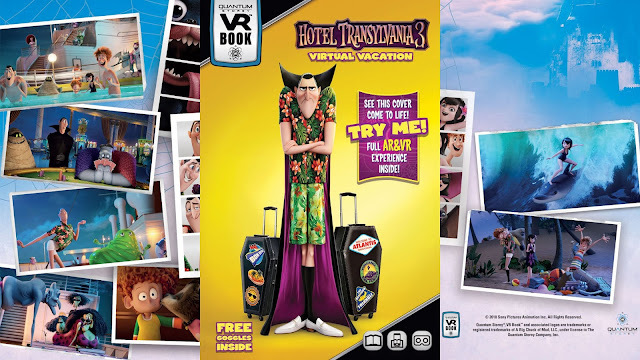 "After seeing our customers enjoy Quantum Storey's Hotel Transylvania 3 activity booklet that was launched last month, we are thrilled that they are bringing Drac, Mavis and the crew to life in a new and exciting way through this stand-alone VR Book," said Jamie Stevens, Executive Vice President, Worldwide Consumer Products for Sony Pictures Entertainment. Quantum Storey's full VR Book provides a deeper, more immersive experience for fans of this film. "We really enjoyed working side-by-side with the entire Sony Pictures team to create an even more engaging stand-alone VR Book," said J.M. Haines, Quantum Storey Co-Founder and Chair. 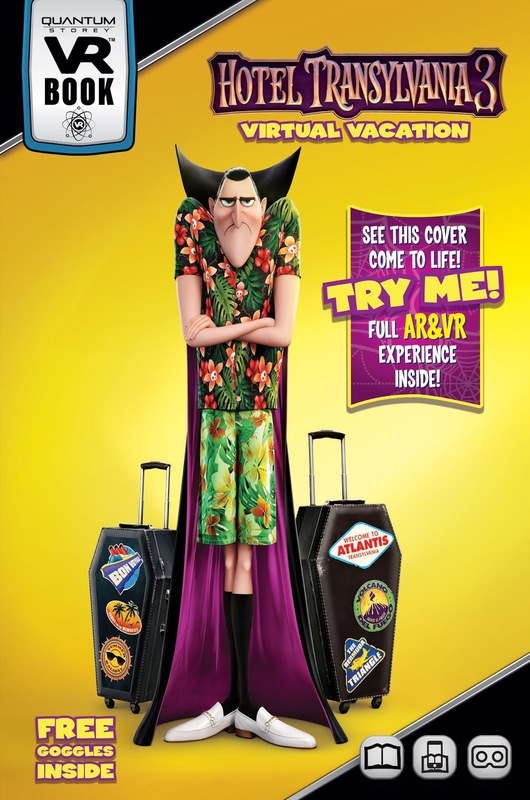 "We were able to use the feedback from some of Hotel Transylvania 3's biggest fans to create some VR engagements they will love!" she said. Research from Common Sense Media and Stanford's Virtual Human Interaction Lab concluded that engaging with characters in the first-person through VR creates a different kind of connection for consumers, increasing their natural empathy and making them more interested in seeing those characters in all forms of media. With the VR Book available at Walmart and walmart.com today in the book section, every family can now experience what customers of the VR Activity Booklets have been going batty over.